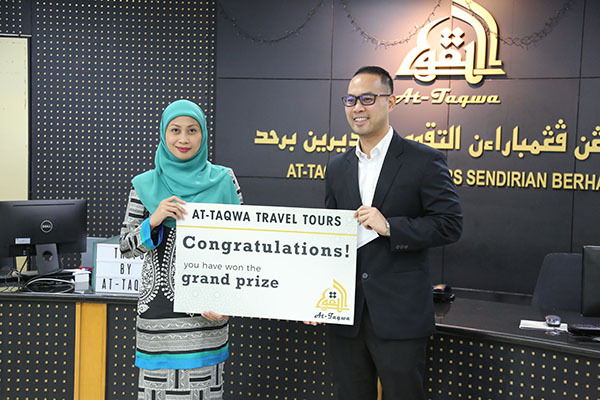 At-Taqwa Travel Tours Sdn Bhd has been making a name for themselves for the past year or so. With a very solid team, they provided the best service to every customer they can within their resources. I have worked closely with them last year during my Umrah trip and they were very particular when it came to service. And yes, when you provide good service, you will eventually get more customers and so they did. 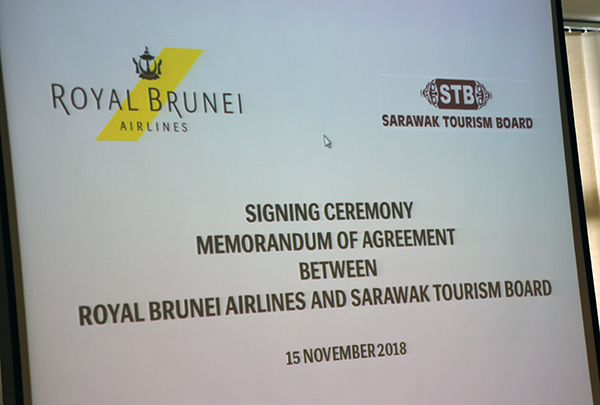 The last travel fair, Sabre Travel Fair 2018 drew 562 bookings and it was the biggest milestone for a new player in the industry. 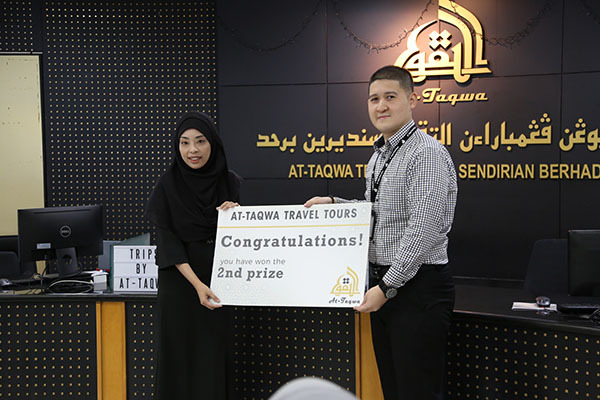 Apart from that At-Taqwa also had special lucky draw promotions and yesterday, three top winners were feted with awesome prizes from the travel agent. 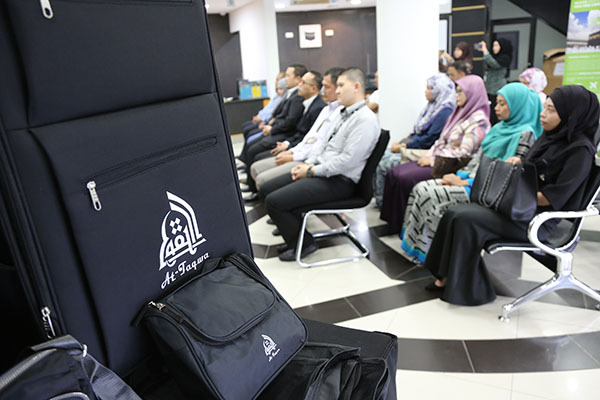 The Grand Prize went to Massharyanti binti Haji Hussain who won an Umrah package for two. 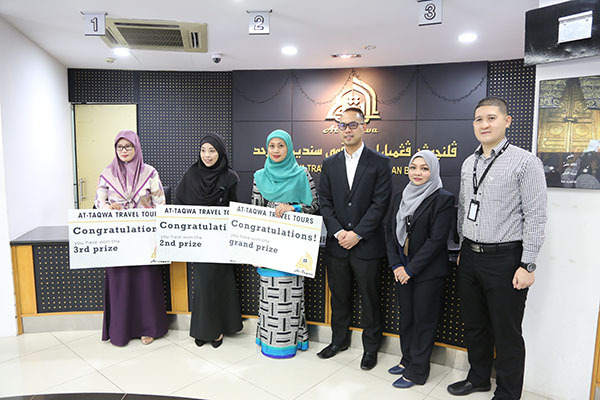 The second prize winner went to Fauzian Hj Samat with a BND 2,500 travel voucher while third place winner won a BND 1,500 travel voucher which went to Muhd Wazif Asryaf bin Md Affendy. 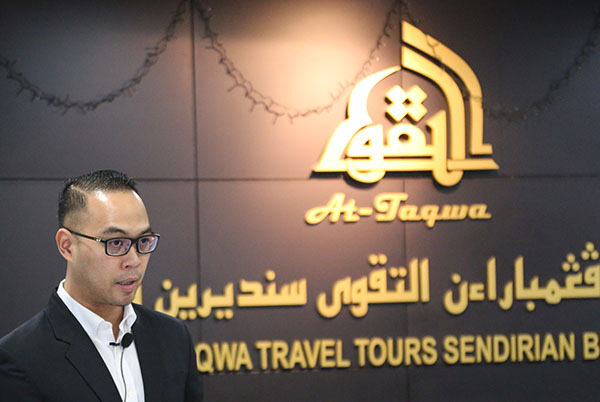 Ak Md Nassiruddeen Pg Hj Yussof, Chief Financial Officer of At-Taqwa Travels Tour thanked the customers for their support during the travel fair and also to their loyal customers. 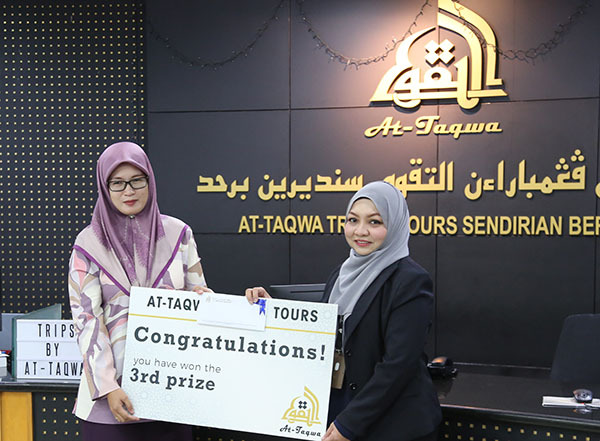 All present during the prize presentation were Pg Hj Rosdimar bin Pg Hj Omarali, Managing Director of At-Taqwa Travels Tour and the management as well as representative from Royal Brunei Airlines. 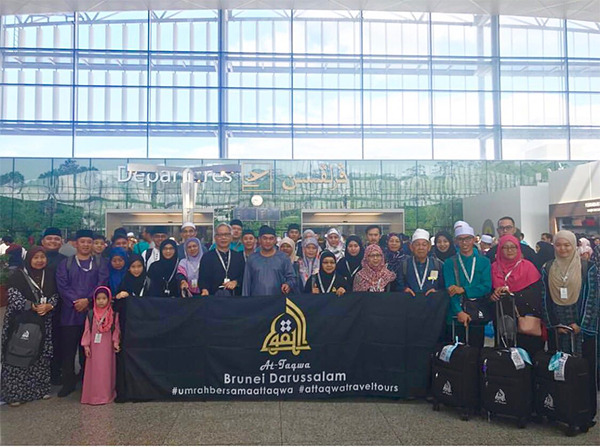 At-Taqwa Travels Tour will be in full swing this until next year as the first batch of Umrah pilgrims will fly off today. They have been busy with the preparations especially with the practical session for the pilgrims to be familiar before they reach the Holy land. You can follow their updates on IG @at_taqwa_travel_tours for updates. Robin having a great time on the Sepang Circuit. In a modern IT-centric society, data loss due to power-outages is not only a business risk but also a risk for everyday home users. Globally, businesses have lost billions of dollar worth of data due to power outages, and most studies does not even take into account personal lost of priceless data like family pictures and videos. 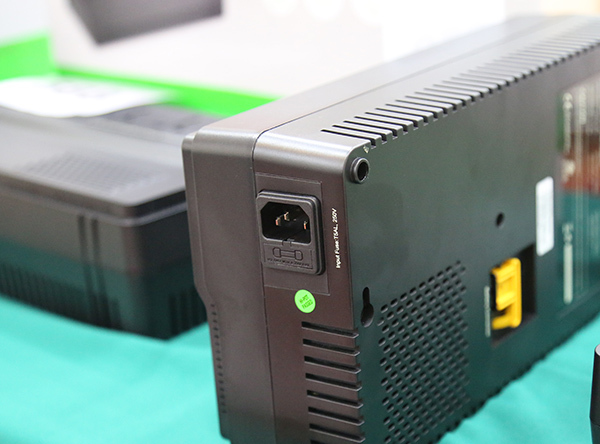 This is why Concepts Computer and Schneider Electric (manufacturer of APC products) will be providing three new, affordable models of UPS from APC – World Leader in Power Protection. The new models are the APC BV650, BV800 and APC BV1000 UPS. Known for its quality, innovation and industry leading service and support, APC (American Power Conversion) is working diligently to improve the manageability, availability and performance of data-critical systems through innovative solutions, and Concepts Computer is also working hard to provide affordable power-outage solutions from APC for both commercial and, more importantly, personal home-use. 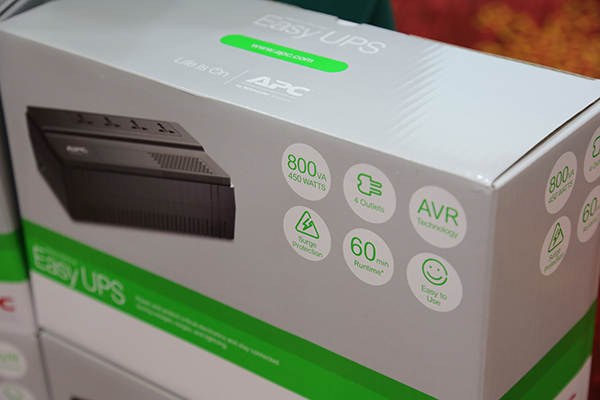 All three of the UPS models are the latest in APC’s line of affordable UPS for SOHO (small office/home office) and personal home-use, and are perfect for those in need of quick and easy solutions for multiple PCs or even just a single home PC. The three models are rated for 375 Watts at 650 VA, 450 Watts at 800VA, and 600Watts at 1100VA respectively, this means that all three models will be able to offer protection for your data and hardware from power-outages, power-surges, power-spikes and even lightning-strikes. Made as user-friendly as possible, APC has provided them with single-step battery connections, hassle-free cold start function, and the ability to power low and high powered devices. And not to forget keyhole sockets which makes mounting possible for all nooks and crannies of most houses, making them the perfect solution at home. 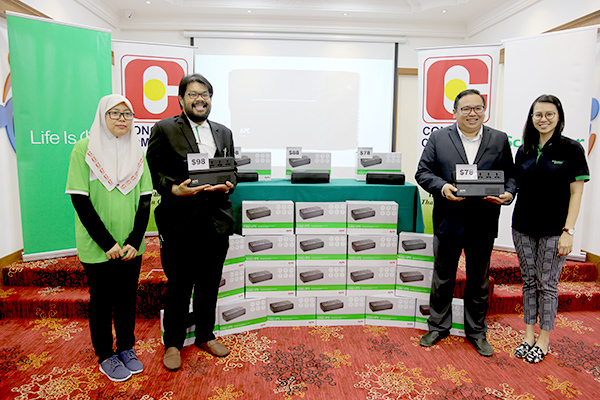 And with the 2 years warranty, Schneider with the help of Concepts will help to ease the minds of Bruneian users. 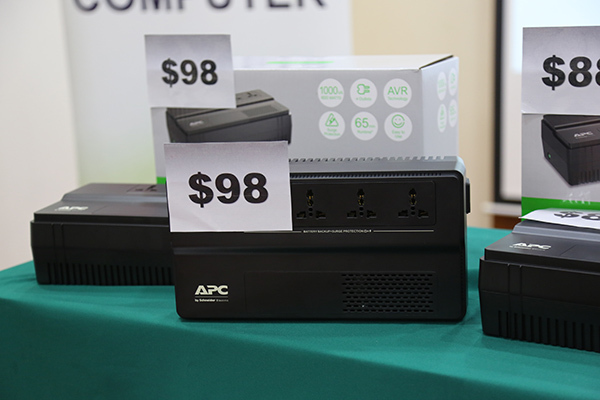 The APC BV650 will be available at Concepts Computer at $78, the APC BV800 will be available for $88, and the APC BBV1000 will be available for $98. Expected up-time for the APC BV650 with a basic PC of 120W will be 9 to 10 minutes, 14 to 15 minutes on the APC BV800, and for the APC BV1000 is 16 to 17 minutes. Please note these numbers are reliable estimates but can still be affected by many factors and conditions. 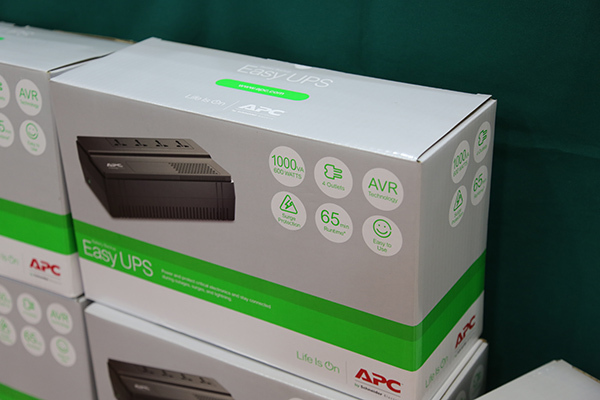 For more information on the full range of UPS solutions from APC and other IT products and solutions, please visit your nearest Concepts Computer showroom or call 2233551/2/3. This is the APC BBV1000 selling at BND 98 and it can hold for roughly 16-17 minutes when there is a power outage. Hello Serians (if there is such a word for Seria people). 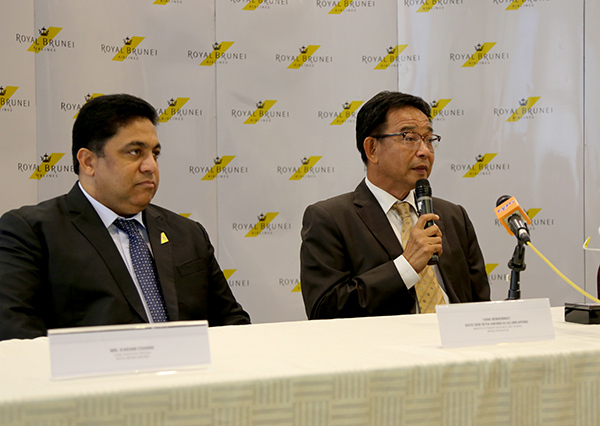 Because Baiduri Bank has now relocated their Seria Branch in Pekan Seria recently. 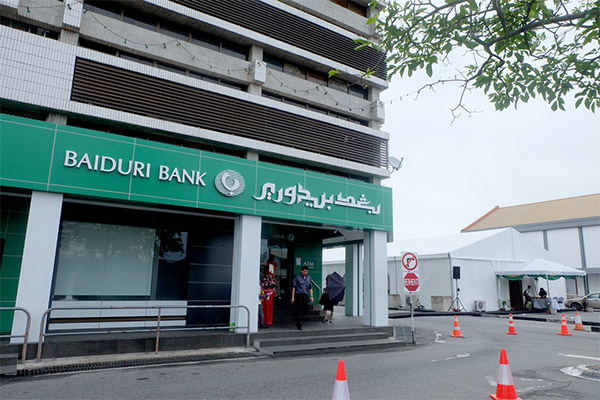 Baiduri Bank took over HSCB previous location in Seria. 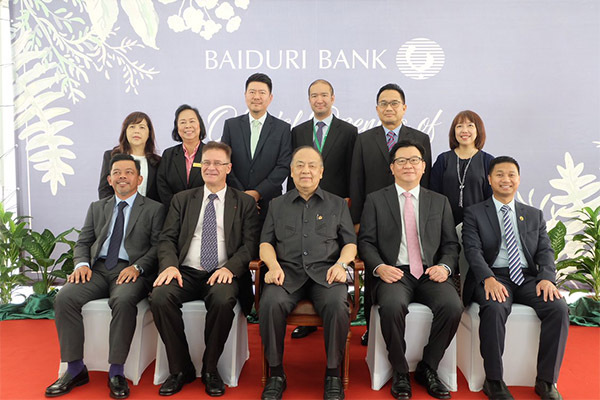 Minister of Energy, Manpower and Industry, Dato Seri Setia Dr. Awang Hj Mat Suny bin Hj Mohd Hussein, was the guest of honour during the official launch of Baiduri Bank Seria branch and he was welcomed by Pierre Imhof, the CEO of Baiduri Bank. 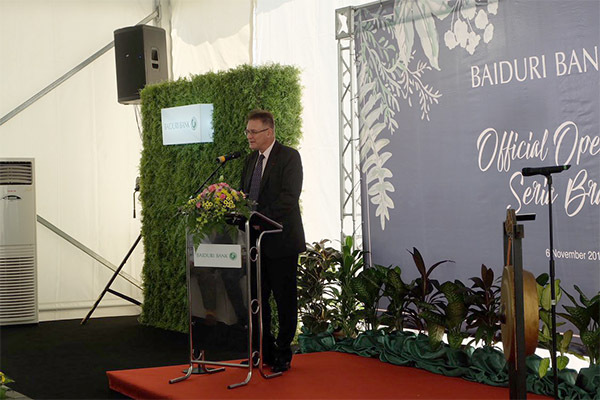 According to Pierre Imhof’s speech, the opening of the branch is a testament to their ongoing drive in providing the highest level of service to their customers in Seria. 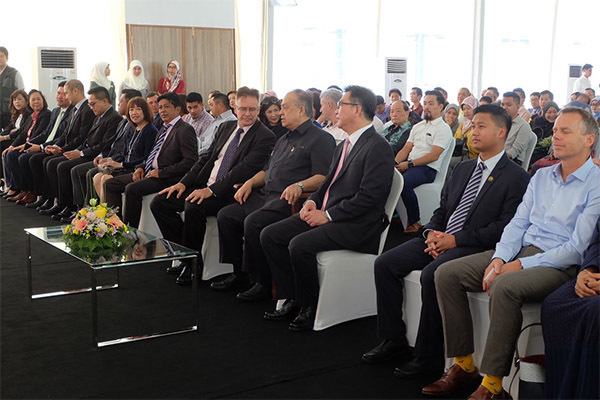 The area is the heart of commercial activity in Belait District and their presence is to cater to the increasing activity in the oil and gas industry as well as helping to grow and develop local micro, small and medium enterprises in the area. The location represents not only the convenience but also enhance customer experience and comfort. 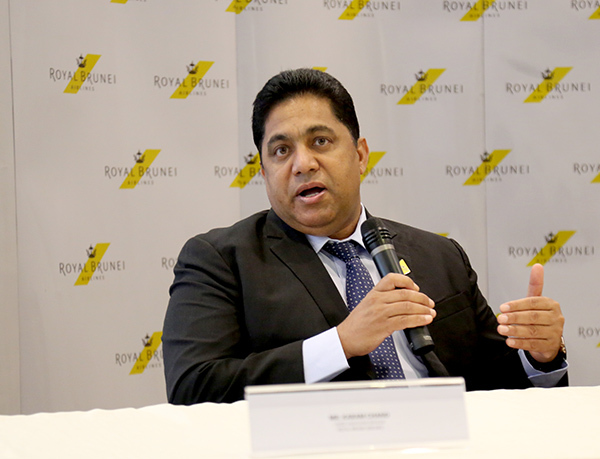 It also have facilities to cater to Baiduri’s corporate clients and account holders which can help better serve to support both large companies and MSMEs. The branch consists of a larger banking hall, offering full bank services to individuals and businesses and not forgetting the prestige area. Dreaming of a Winter Wonderland holiday?? It’s simple. 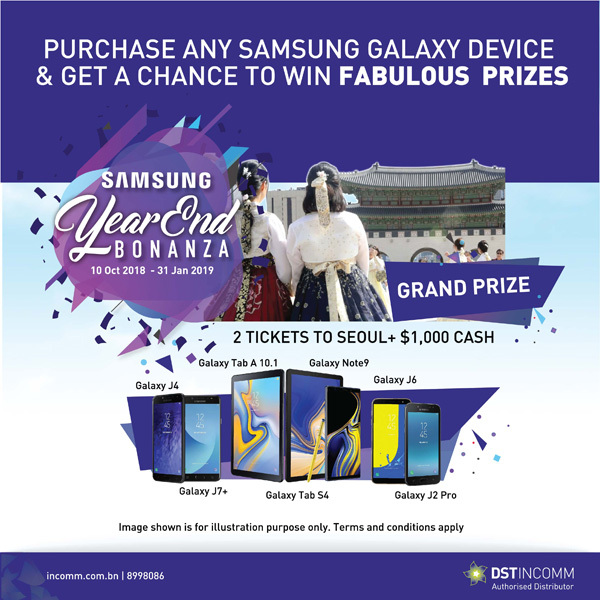 Here’s your chance to win DSTIncomm Samsung Year End Bonanza with a grand prize of “2 return tickets to Seoul + BND 1,000 cash. All you have do is simply purchase any Samsung devices from DSTIncomm. 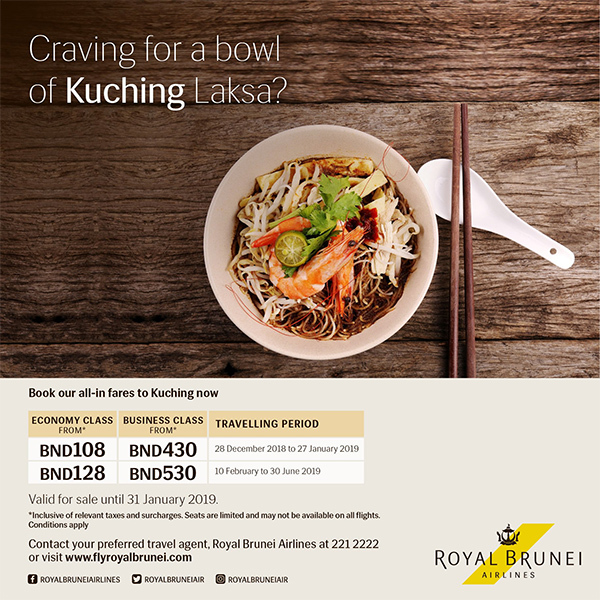 Good thing is the promotion ends on 31st January 2019. 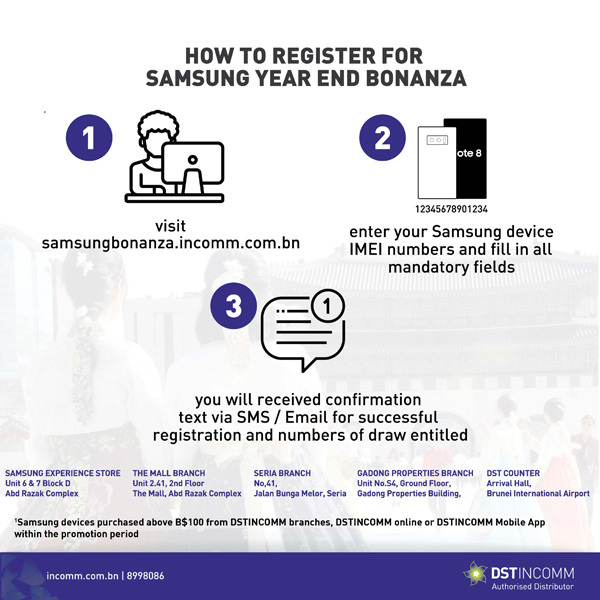 Please look out for the “Samsung Authorized” hologram sticker on the Samsung device packaging box and you are eligible. 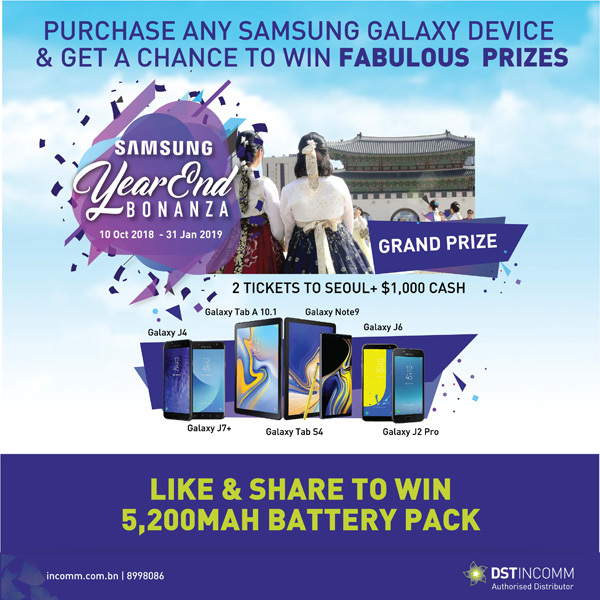 Lots of prizes to be won such as Samsung Galaxy Note9, Samsung Galaxy Tab S4 and many more! For more info, visit www.dstincomm.com or call their hotline 899 8086. The standard AMG Line makes for added sportiness of the exterior and interior. External features are dynamic AMG styling (consisting of AMG front apron with chrome trim, sportily distinctive air curtains, AMG side sill panels and AMG rear apron in diffuser look with chrome trim strip), a diamond radiator grille with chrome pins and 48.3 cm (19-inch) 5-twin-spoke AMG light-alloy wheels painted in tremolite grey with a high-sheen finish. In the interior, the AMG Line comprises specially designed seats in ARTICO man-made leather/DINAMICA microfibre in black, an AMG multifunction sports steering wheel with flattened bottom section as well as AMG sports pedals and AMG floor mats. A high-resolution Widescreen cockpit is standard for the new CLS, with two 12.3-inch displays arranged beneath a shared, continuous glass cover. In the fully digital cockpit, the driver is able to feely configure the information content according to need and the driving situation. Three different styles can be selected depending on preference, mood or to suit the interior appointments. The Classic and Sport styles have a basic structure with two tubes, while the Progressive style surprises and polarises with a structure having a central, tube-shaped instrument. The ambience lighting is individually adjustable in 64 colours, and also includes the air vents. When the temperature setting of the air conditioning system is changed, it briefly changes colour to show whether the temperature is being made warmer (red) or cooler (blue). 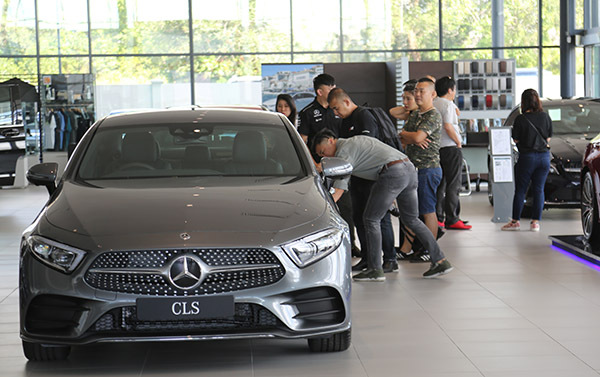 For the first time, the CLS Coupé is a five-seater. The EASY-PACK Quickfold allows the backrests to be folded down in a 40/20/40 split to versatilely expand the large 520-litre luggage compartment. The new CLS comes with the latest driving assistance systems with route-based support for the driver. 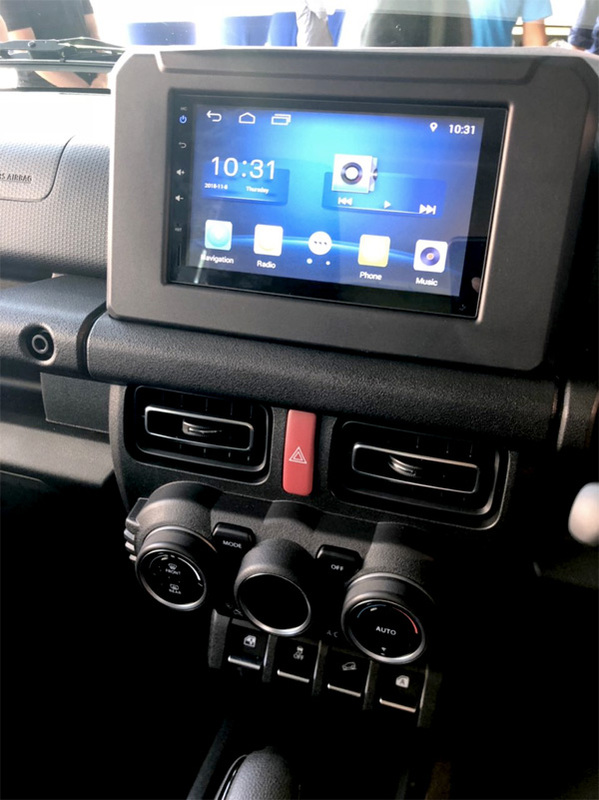 The standard equipment includes Active Brake Assist, Lane Keeping Assist, ATTENTION ASSIST, Speed Limit Assist and the occupant protection system PRE-SAFE®. 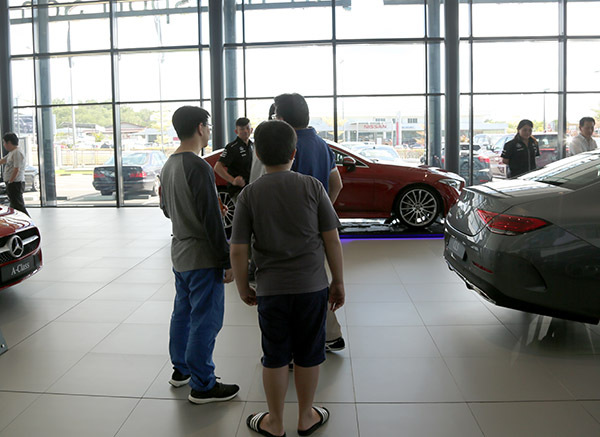 The optional Driving Assistance Package consists of Active Distance Control DISTRONIC, Active Steering Assist, Active Speed Limit Assist, Active Brake Assist with cross-traffic function, Evasive Steering Assist, Active Blind Spot Assist, Active Lane Keeping Assist and PRESAFE® PLUS. The Driving Assistance package Plus includes PRE-SAFE® Impulse Side. This system can brace the front occupants for a side impact by nudging them sideways to reduce the risk of injury. MULTIBEAM LED headlamps with ULTRA RANGE high beam are also standard. These allow extremely quick and precise, electronically controlled adjustment of the headlamps to suit the current traffic conditions. ULTRA RANGE Highbeam generates the maximum light intensity permitted by law. 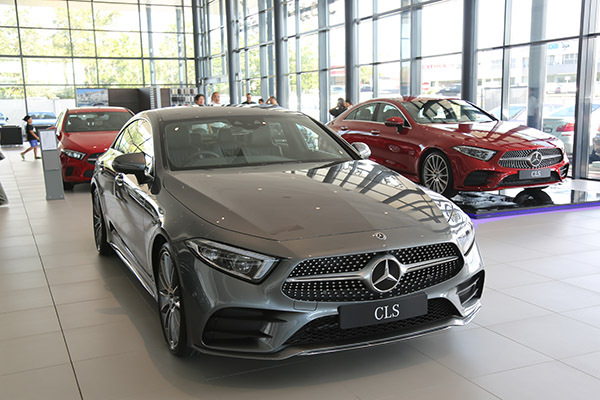 The third generation of the Mercedes-Benz CLS is powered by completely new engines, in-line six-cylinder and four-cylinder petrol units. 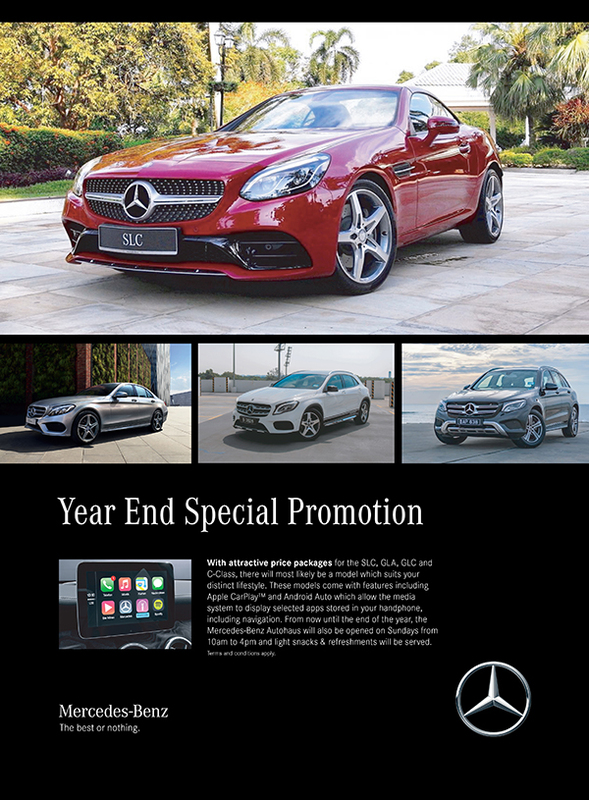 Also characteristic of the four-door coupé is the extensive range of 4MATIC models. 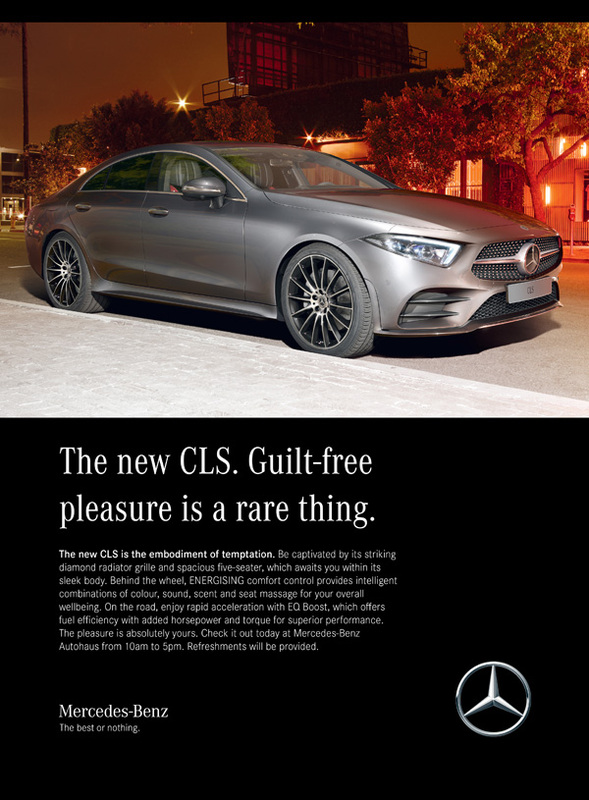 The new, systematically electrified four-cylinder and in-line six-cylinder with EQ Boost (integrated starter/generator) and a 48 volt onboard electrical system powers the CLS 350, CLS 450 4MATIC and CLS 53 4MATIC+. The integrated electric motor known as EQ Boost assists the combustion engine e.g. when accelerating, makes driving without the combustion engine possible (“sailing”) and supplies the battery with power by means of high-efficiency recuperation. By doing so it makes fuel savings possible that were previously the exclusive domain of high-voltage hybrid technology. 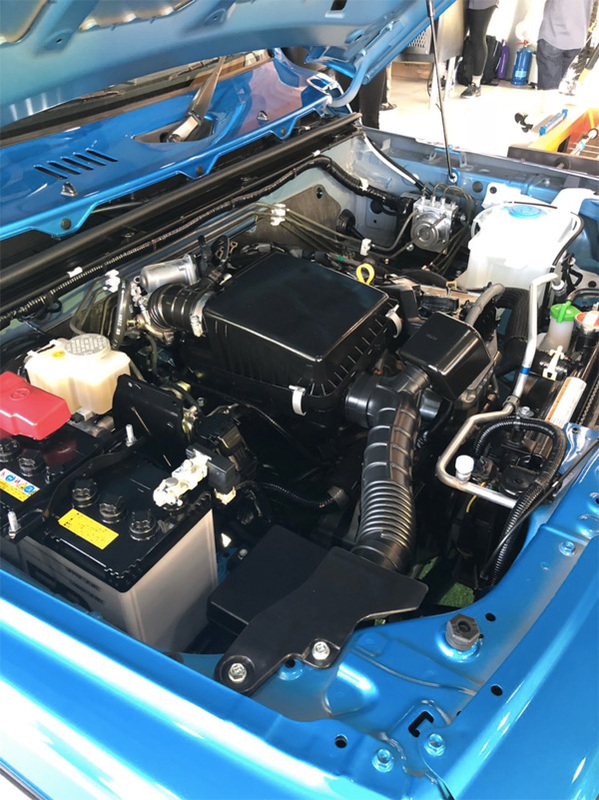 All in all, the new in-line six-cylinder engine delivers the performance of an eight-cylinder engine with significantly lower consumption. 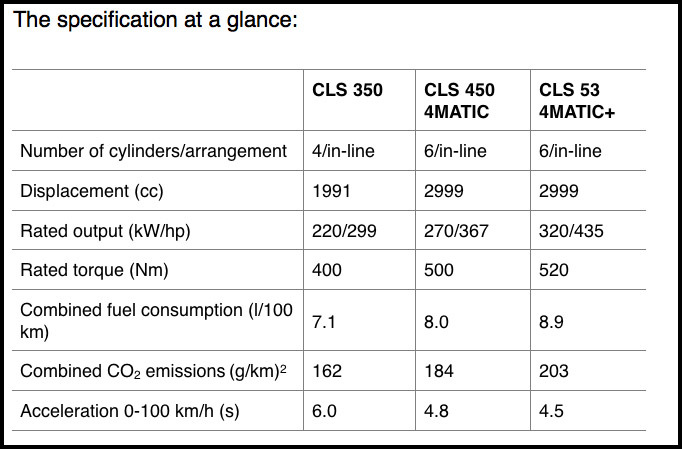 The CLS 450 4MATIC is equipped with a particulate filter as standard. 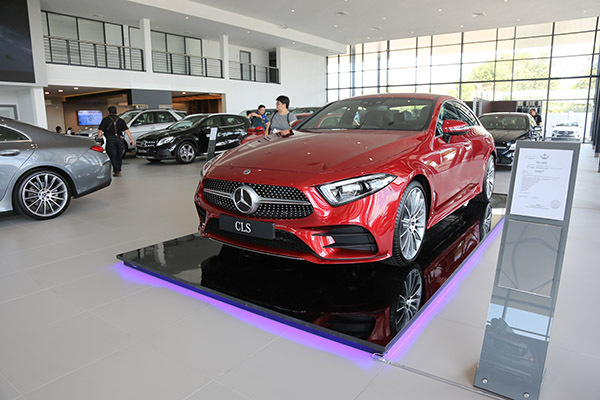 So check out the new CLS today at Mercedes-Benz Autohaus from 10am to 5pm. Refreshments will be provided too. The 4th Gen Jimny is out!!! 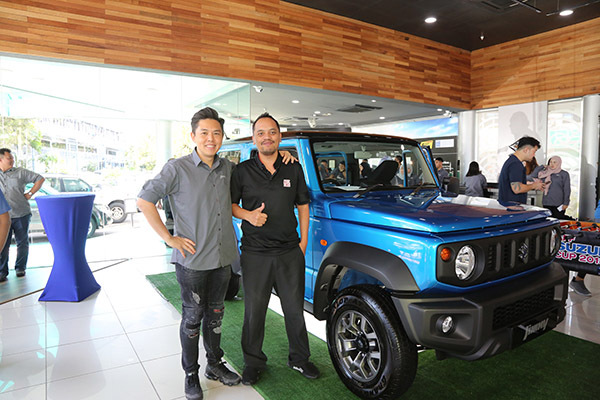 Check out the Jimny, the 4th generation after 14 years. Now available for viewing at Suzuki Showroom at Gadong. 14 years. 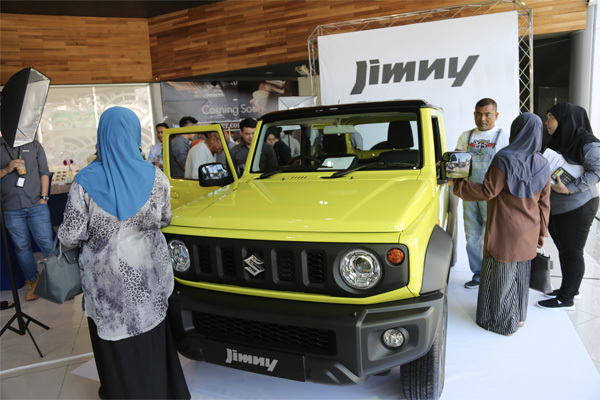 Yes, 14 years it has been before Suzuki unveiled their 4th generation of their Suzuki line-up which is the Jimny. 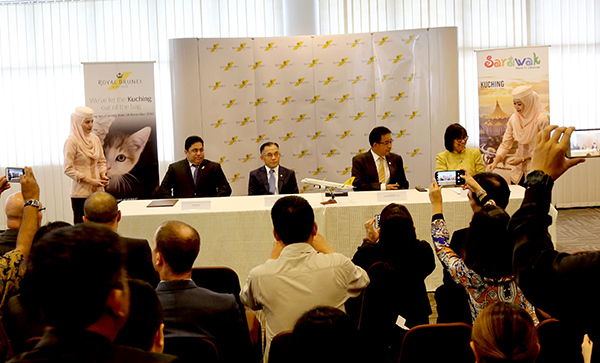 It was launched earlier today at Suzuki Showroom at Gadong. 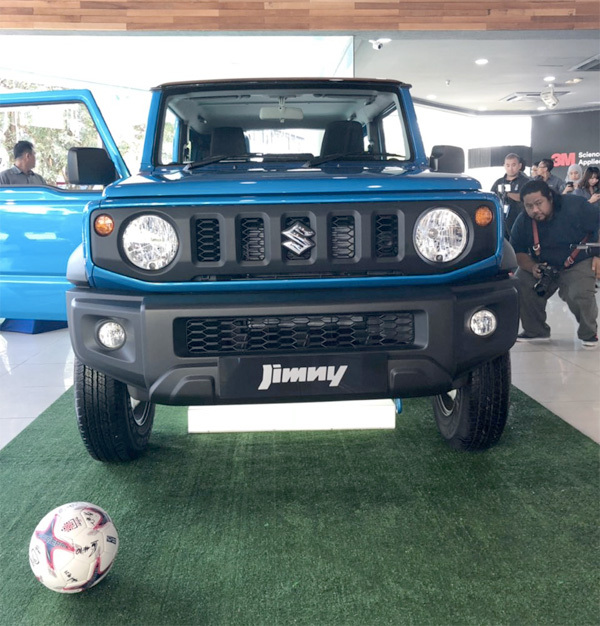 The revamped 4th generation Jimny has an overall different feel as compared to the 3rd generation. 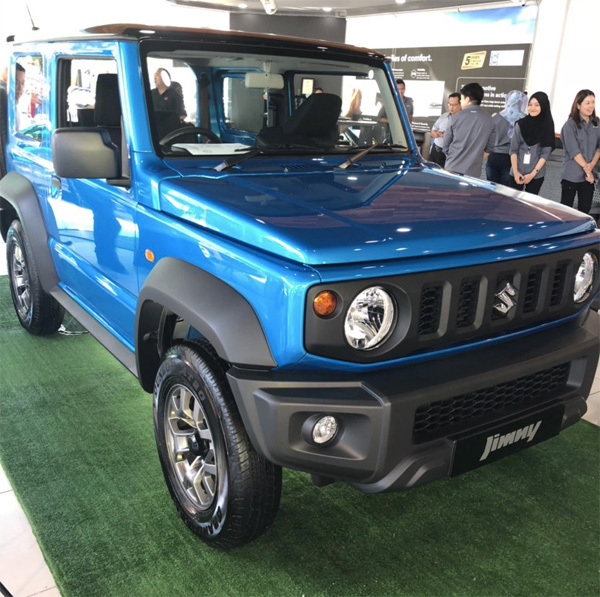 You can already tell from the exterior feel how the latest Jimny is much more rugged and furthermore, it is ALLGRIP car meaning it’s a 4×4 which will give the drivers the off-road experience. What caught my eye the most is the look and feel. 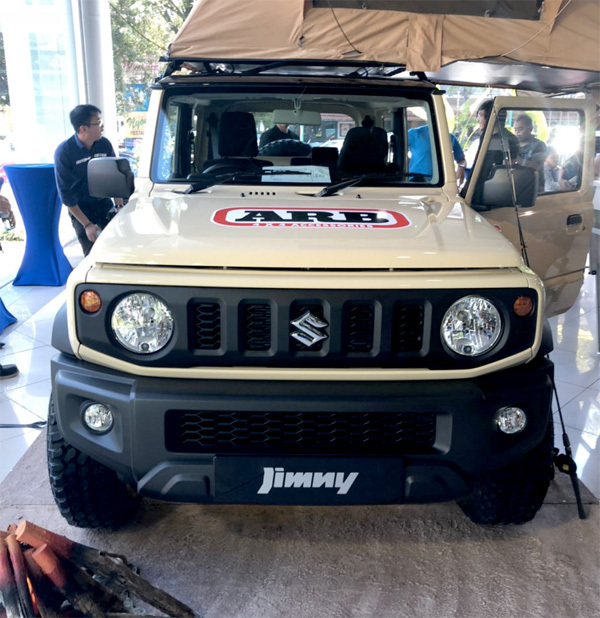 It doesn’t deviate too much from its corporate identity as you can still tell it’s a Jimny but the facelift makes me more relevant to the current trends globally. 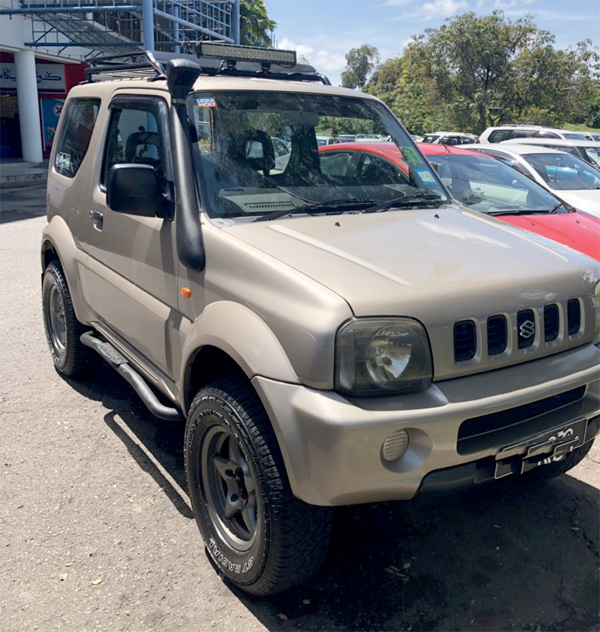 The Suzuki Jimny is suitable for many purposes including outdoor adventure concept. I’m pretty sure this model will be a hit among the young and the not-so young because it appeals to all walks of life. There’s ample legroom and headroom for the comfort of the passengers and the driver. Back space for luggage is bigger than previous model. 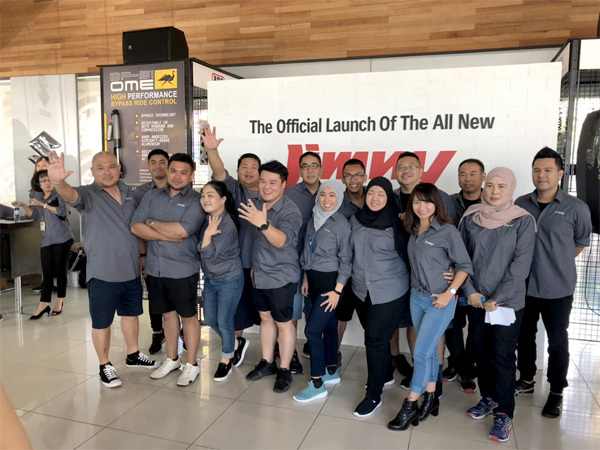 The upgraded Jimny is the first Suzuki’s model in Brunei to be equipped with a newly developed 1.5 liter engine, hence, creates strong torque for powerful off-road performance and delivers high fuel efficiency due to a lightweight compact design. The safety features are quite enhanced in a way. There is the Hill Hold Control which makes hill starts easier by preventing the car from rolling backward (uuuuu me likes that feature), Hill Descent Control which automatically applies the brake when traveling downhill and Electronic Stability Programme (ESP) which detects spillage to give the drivers a peace of mind when driving off-road. Furthermore, the body frame centres on Suzuki’s Total Effective Control Technology (TECT) concept, resulting in a structure that efficiently absorbs and disperse energy in the event of a collision. The prices are quite competitive and reasonable. Maybe even entice you to get one. The units so far are fully booked but members of the public are welcome to view the showroom models until 9th November 2018. There will be refreshments and also limited edition door gifts for those who come today and tomorrow. 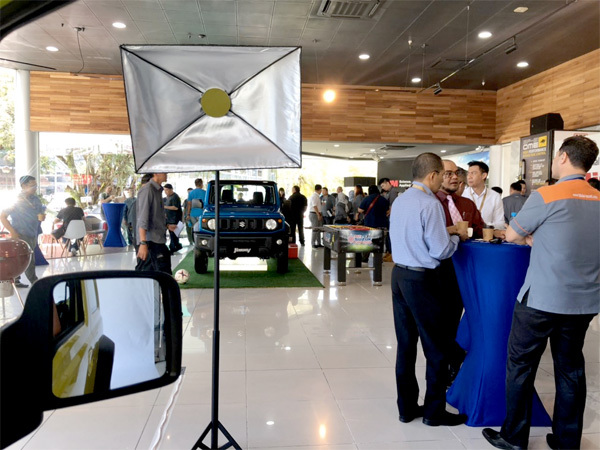 Congratulations once again to Boustead Sdn Bhd on the launch of the 4th generation of Jimny. The wait was definitely worth it.